My kids didn’t really give me anything too difficult this year. In fact, their costumes were fairly simple to pull off. We attended a costume party and they went Trick or Treating. You’ll see how that translated into more costumes. 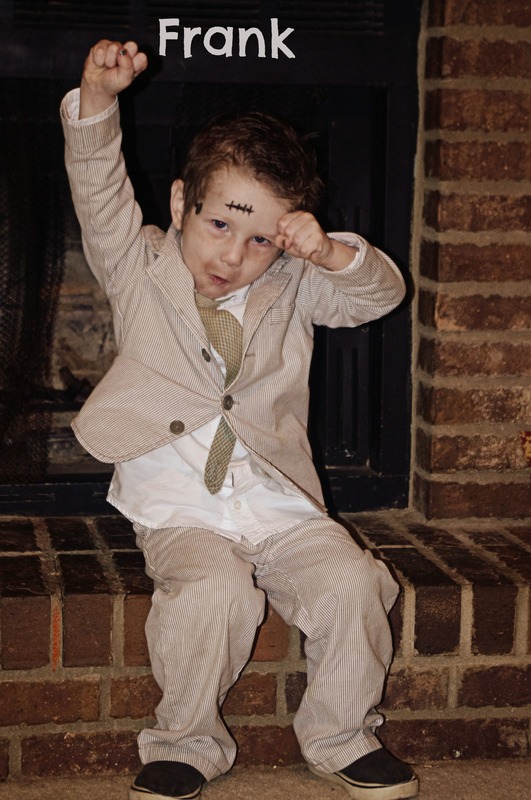 Aidan decided to be Mr. Bean for the costume party. We had the clothes around the house, grabbed Teddy, and painted his face a bit. (Added the black moles and dusted some brown shadow around his mouth and chin for 5 o’clock shadow.) 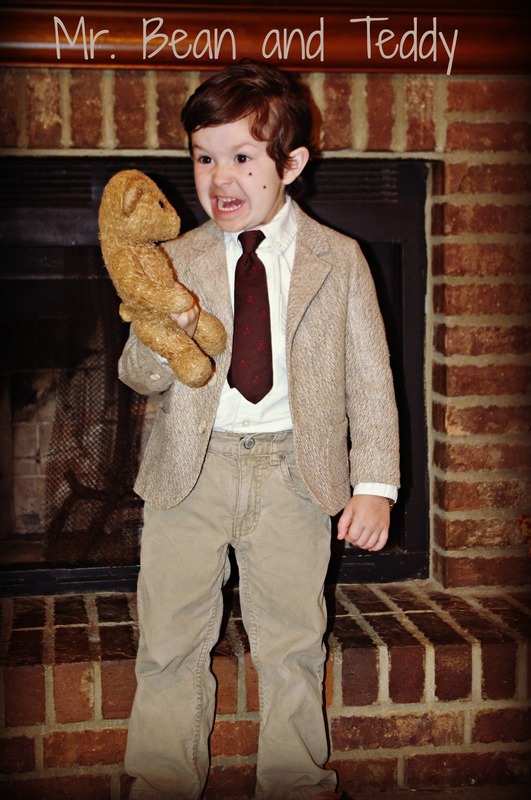 He made a pretty awesome Mr. Bean. 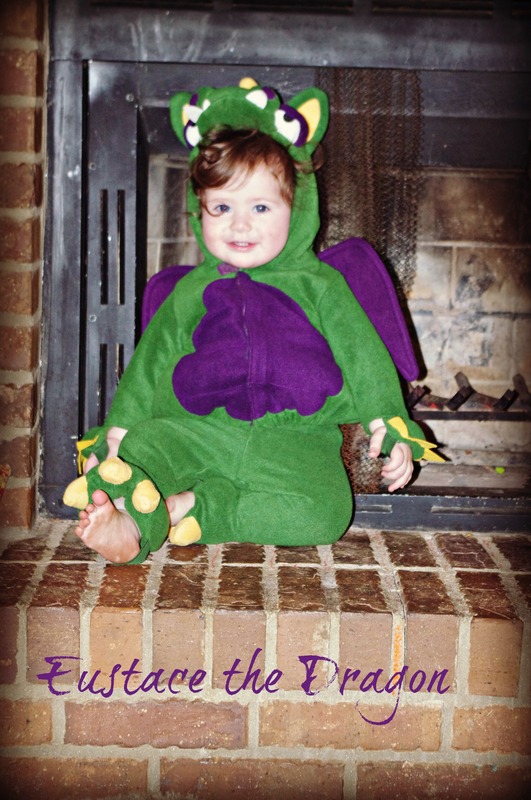 Emery wanted to be Frankenstein’s Monster for both the party and the trick or treating fun. I didn’t have a dark suit lying around, so he went in his seersucker suit. I drew on some scars with eyeliner, added some show under his eyes, and he was set! 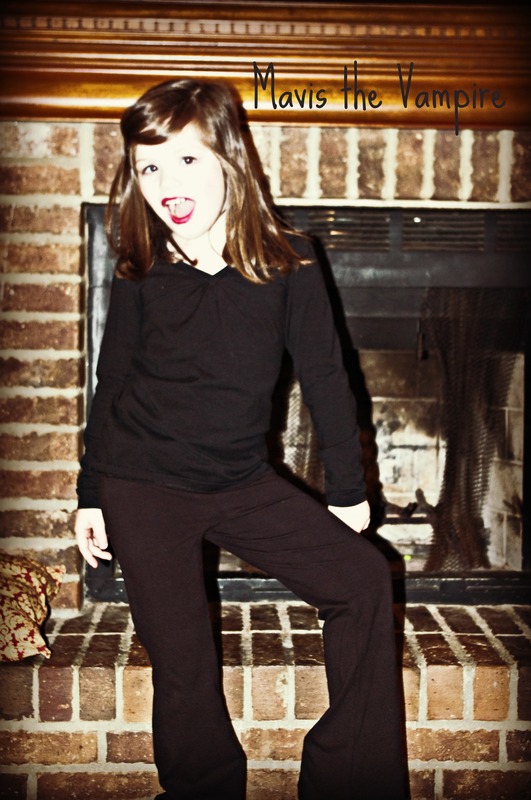 Imogene decided to dress as Mavis from Hotel Transylvania. (Part of our Halloween festivities included going to see Hotel Transylvania in theaters.) Her pants really were black, even though they look brown in the picture. We faked some bangs, added some make-up, and she was happy. Imo refused to trick or treat this year, telling us she was too old for that now. For trick or treating, Emery stayed Frankenstein, though we had to change up the outfit since the other suit was in the washing machine. (He ate a glow necklace after the party and threw up on his suit.) 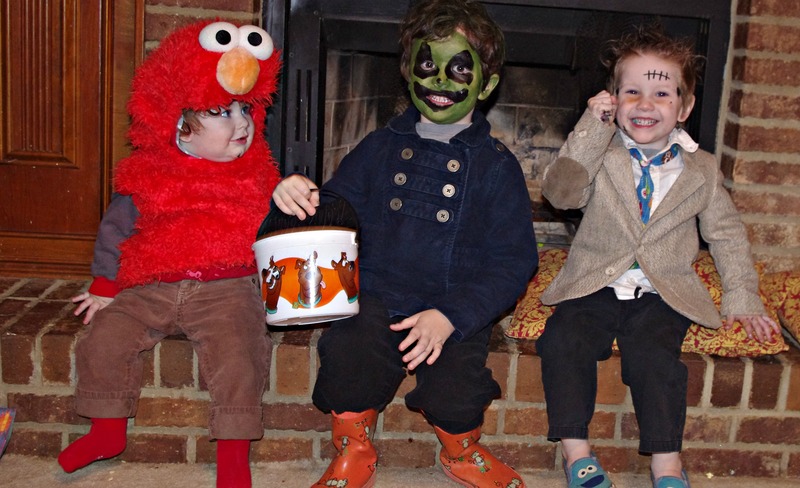 Ransom became Elmo (the Dragon got dirty at the party, too), and Aidan was “Jack the Lantern”. What? You’ve got no idea who that is? Neither did I. Aidan told me he was in Hotel Transylvania. How did Aidan know since he hadn’t seen Hotel Transylvania until the morning of Halloween? Oh. He got it as a Happy Meal Toy. Yep. That kid came to me with a request to be a Happy Meal Toy for Halloween. I bought what I thought was green hair paint for his hair. After I sprayed his entire head and stood there staring because it wasn’t green, I realized it wasn’t hair paint. It was spray paint. And it wasn’t green, it was glow in the dark. Yep. I had just spray painted my kid’s head for Halloween. Fortunately, the stuff washed off easily with just regular shampoo and water. So, my oops wasn’t as catastrophic as I envisioned when I read the can.